Founded as a Spanish colony in 1571, Manila, the Philippine capital, is today the most densely populated city in the world. Having lived there for a year, I found Manila to be a great hub for exploring Asia. The national airline has direct flights to most major cities. 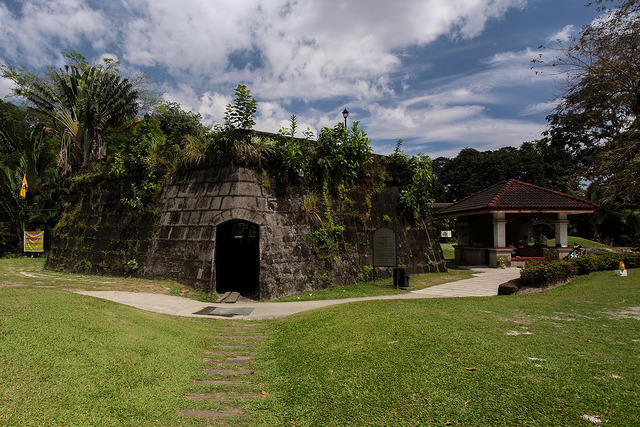 1: Built by the Spanish to protect their colony, Fort Santiago was built in 1593. 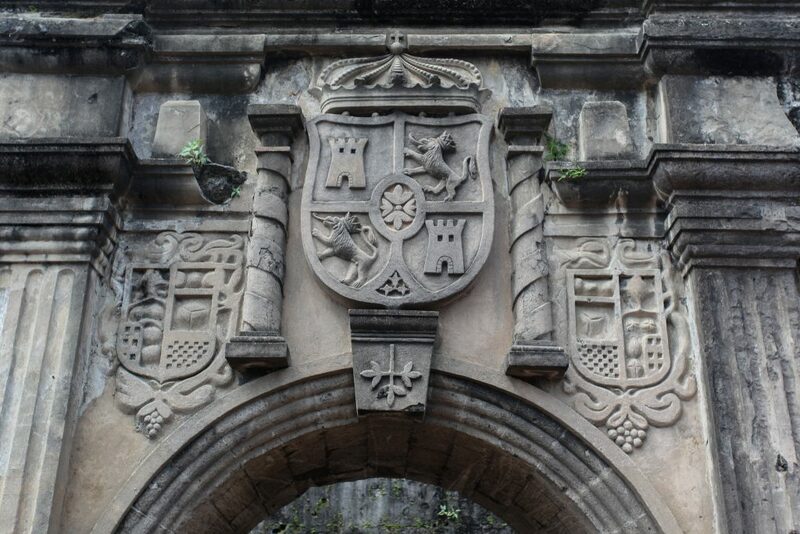 The crest that adorns its entrance is the coat of arms of the monarch of Spain. 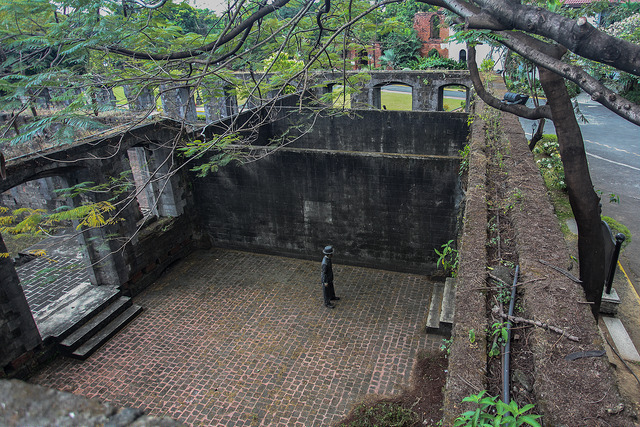 The fort is part of a larger colonial walled city called Intramuros. 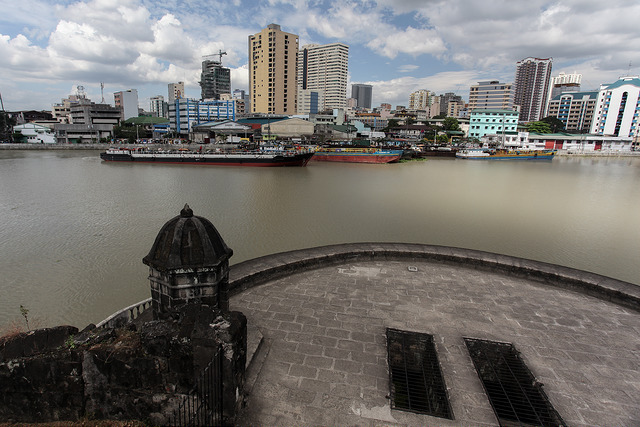 2: Fort Santiago offers great views of the Pasig River, a waterway that feeds into Manila Bay. 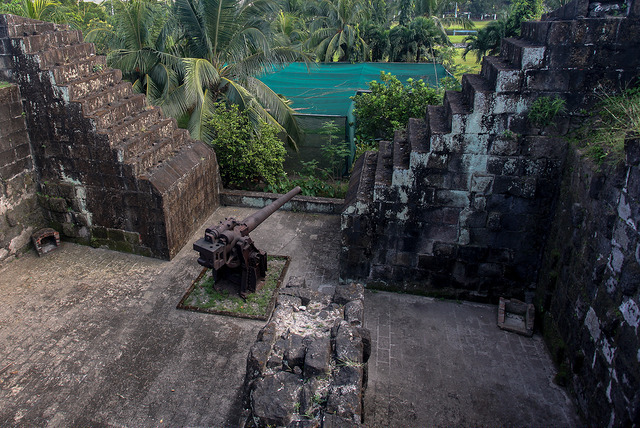 3: A great view of a World War II era cannon placement at the nearby Baluarte de San Diego. The Philippines was attacked a mere nine hours after the attack at Pearl Harbor, which ushered the United States into World War II. 4: The Reducto De San Francisco Javier is part of the old fortifications and now serves as the tunneled entrance to the Shrine of Our Lady of Guadalupe. 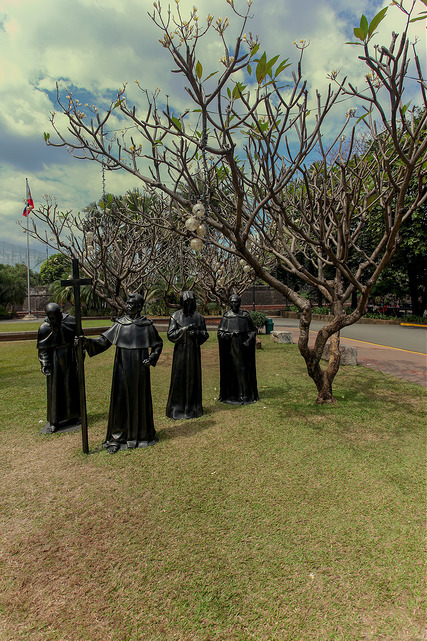 5: The GOMBURZA (a combination of Gomez, Burgos, and Zamora) martyr priests are depicted in this statuary. They were executed in 1872 by the Spanish colonial authorities. 6: Prison cell/display dedicated to Jose Rizal, a Philippine nationalist who was executed by the Spanish colonial government for rebellion following the start of the Philippine Revolution in 1896. 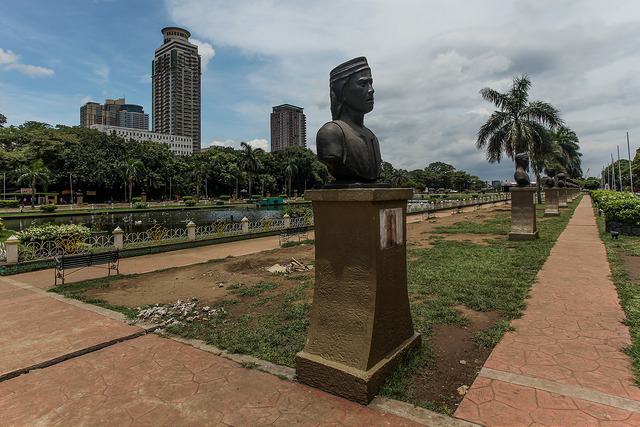 7: Many busts of famous Philippine heroes are part of the Gallery of Heros within Rizal Park. 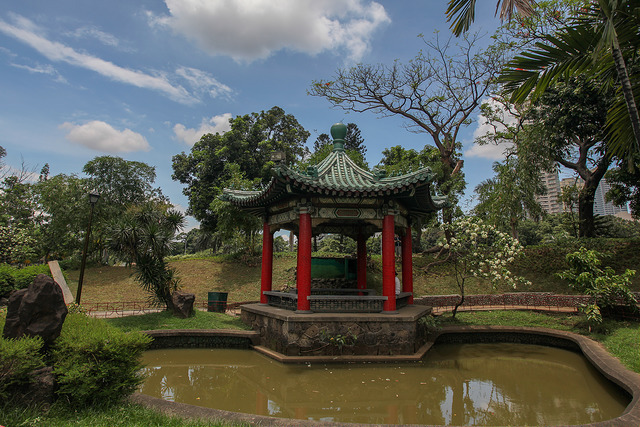 8: A Chinese style pagoda within Rizal Park. 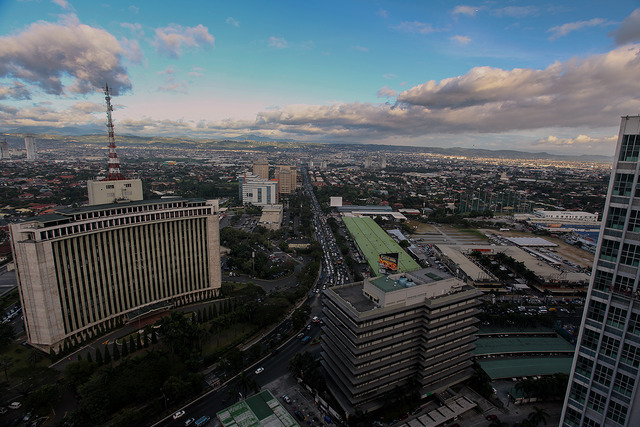 9: This is the view of downtown Manila from my high-rise apartment. 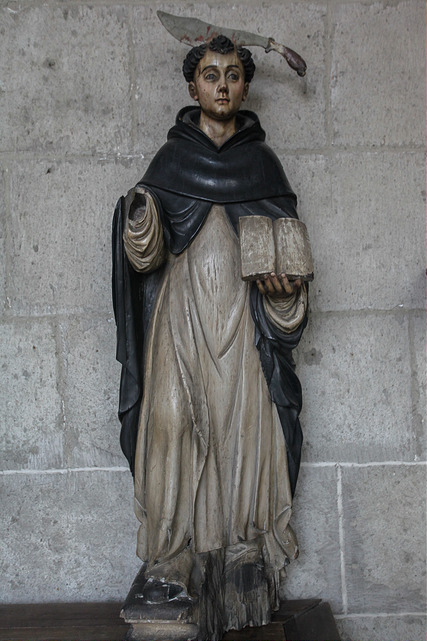 10: I forget where I found this religious statue, but I thought the story behind it must be intriguing.